The Canadian national baseball team is the baseball team which represents Canada in international tournaments. They are currently ranked ranked tenth in the world. Their manager is Ernie Whitt, a former Major League Baseball catcher for the Toronto Blue Jays. In June 2005, Major League Baseball announced the formation of the World Baseball Classic (WBC), an international competition to be held in March 2006 for the first time. Canada was one of the sixteen teams invited to play in the inaugural classic. 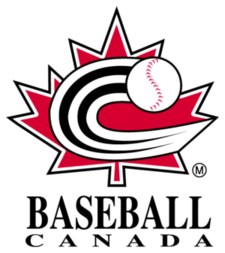 Because the event will be held in March, before the North American baseball season traditionally starts, players active in Major League Baseball or any minor league affiliates are eligible to play in the WBC, making the team markedly different from the teams which represented Canada in the 2005 World Cup or the 2004 Olympics. Several high-profile Canadian players declined the opportunity to participate, including Ryan Dempster, Shawn Hill, Danny Klassen, Éric Gagné and Rich Harden, who were injured. Los Angeles Dodgers' prospect Russell Martin was named to the team, but pulled out in favor of reporting to Spring training. In addition, Larry Walker, who retired after the 2005 season, opted not to participate, choosing instead to serve in a coaching capacity. Before being eliminated after the first round, Canada played in Pool B of the tournament with Mexico, South Africa and the United States. Team Canada was heavily favoured to win their first game against South Africa, a team made up almost entirely by amateurs. However, South Africa put up a tough challenge to the Canadian team. South African starter, Carl Michaels pitched outstandingly; Canada could not get a run until the 5th inning, when they scored 3. However, the South Africans shockingly scored 4 runs of their own in the bottom of the 5th against Paul Quantrill. It was back and forth from then on. It looked like South Africa might pull off a monumental upset as they went into the 9th with an 8-7 lead. However, in the top of the 9th, the Canadians scored 4 times to win the game 11-8. After almost being upset by a surprising South African team, Canada pulled off an upset of its own with an 8-6 victory over the star-studded United States team. Scoring in each of the first five innings, the Canadians built an 8-0 lead using a combination of timely, patient hitting, steady pitching and clutch fielding. In the bottom of the fifth, the United States threatened a comeback, exploding for 6 runs, capped off by a Jason Varitek grand slam. The Canadian team held off the US the rest of the way, as neither team crossed the plate again in the game. Adam Stern had a strong outing, going 3 for 4, a double shy of the cycle, with an inside-the-park home run, as well as making several spectacular plays in center field to keep his team ahead. After Canada's victory over the United States, they got shocked by the Mexican team in a 9-1 resounding defeat. Unfortunately for the Canadian side, this victory would eventually cost them the trip to the 2nd round of the tournament after the United States beat South Africa 17-0 and clinched the second place in Pool B. Canada, USA, and Mexico each finished with a 2-1 record in the pool, but Canada lost the tie-breaker based on runs allowed. Canada also competed in the 2009 World Baseball Classic, hosting the Pool C games at Rogers Centre in Toronto. The Canadians lost a close game against the United States by a 6-5 score in the Pool C opener. Canada was eliminated from the tournament after losing 6-2 to underdog Italy. Canada exited the WBC with an 0-2 record and 6.35 runs allowed per 9 innings, to secure thirteenth place overall. Canada won a qualifying tournament in Armin-Wolf-Arena in Regensburg, Germany, in September 2012, that also featured the Czech Republic, Germany and Great Britain. Canada moved on to the 1st Round. The Canadian team was placed in 2013 World Baseball Classic – Pool D against Italy, Mexico and the United States. On March 8, Canada lost to the Italian baseball team 14-4 after the game ended in the 8th inning due to the mercy rule in place after Italy scored five additional runs during the bottom of the 8th inning. On March 9, Canada faced off against Mexico. With Canada already leading the game, third baseman Luis Cruz motioned the pitcher Arnold Leon to bean the next batter, Rene Tosoni, which resulted in a bench clearing brawl. Seven players from both teams ejected from the game. Despite this, they clinched a 10-3 win over Mexico. They lost the final game against the United States 9-4, thus eliminating Canada from the tournament. The Canadian team missed out on advancing to the next round for the third time, but still managed to claim their automatic qualification for the 2017 World Baseball Classic. In the 2017 World Baseball Classic, their performance were abysmal, even having lost to surprising debutants Colombia. After losing all three of its matches, they are forced to go through qualifiers for the 2021 World Baseball Classic. Canada has qualified for two Olympic Games, in 2004 and 2008. Canadian teams also competed twice when baseball was a demonstration sport, in 1984 and 1988. In the 1984 Summer Olympics, the team finished third in their pool, the equivalent of a tie for fifth overall. In the 1988 Summer Olympics, the team finished seventh. In the 2004 Summer Olympics, the team finished fourth. Canada qualified for the 2008 Summer Olympics by finishing 1st place in the final qualifying tournament. They finished the tournament in 6th. Canada has competed at 9 World Cups and 8 more times in its predecessor the Amateur World series. Their best finish was a bronze at the 2009 World Cup and at the 2011 World Cup. At the 2011 Pan American Games, Canada beat the USA 2-1 to win Canada's first ever baseball gold medal. Canada won their second consecutive gold medal at the 2015 Pan American Games, defeating the USA 7-6 (10 innings) in the final. 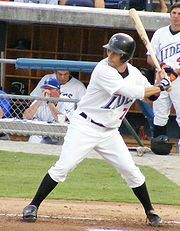 Wikimedia Commons has media related to Canada national baseball team.